Packaging Information: package wooden box. ZJ2B Roots series water ring unit is consists of ZJ type Roots pump as the main pump, composition 2BV/2BE1 series of water ring pump or Roots--water ring unit as a fore pump pumping unit. It can be used to pumping gas in addition to, can also aspirate containing water, compared to organic solvent or a small amount of dust gas. 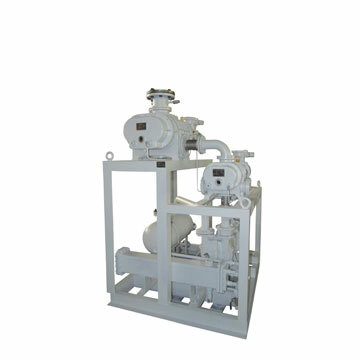 And general mechanical vacuum pump, not afraid of oil pollution, not afraid of water, gas and dust, and compared with the general water ring vacuum pump, with vacuum high and pump speed characteristics under high vacuum condition.